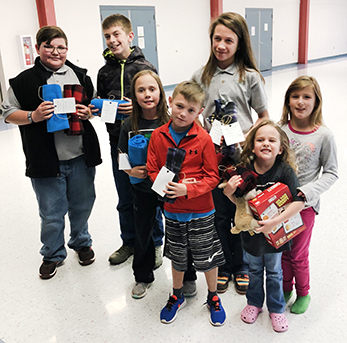 4-H believes that every child has valuable strengths to improve the community and the world around them, and the Cottonwood 4-H Club has been busy doing community service projects. Club members made scarves that were donated to the My Brethren Ministry. This ministry is a charitable organization that helps the needy in the Pecos Valley. Club members also gave the Cottonwood 4-H welcome sign a much-needed makeover. 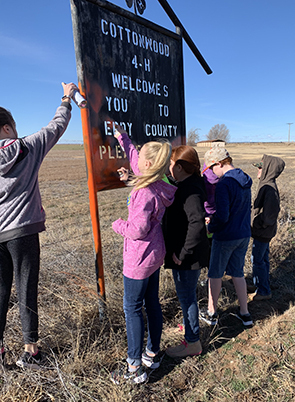 Members gave the sign, on the corner of Pearson Road and U.S. 285, a fresh coat of orange paint, making the sign more visible to passersby, which helps welcome people to our community. The Cottonwood 4-H Club participates in several community projects throughout the year.